Any Israeli soldiers accused of war crimes in the Gaza Strip will be given state protection from prosecution overseas, the country's PM has said. Ehud Olmert said troops should know Israel would keep them safe after they acted to protect their country. Palestinians say 1,300 people died during the offensive, and UN officials want independent probes into whether war crimes were committed. 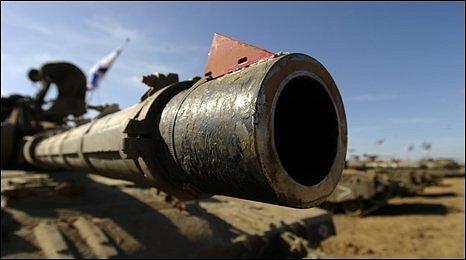 Meanwhile, a Hamas delegation is in Egypt for talks on cementing a truce. Israel ended its military operation in Gaza on 18 January, and Hamas declared a ceasefire hours later. In Brussels, EU foreign ministers meeting to discuss the situation urged Palestinian factions to resolve their differences and speak with one voice. Luxembourg's Foreign Minister Jean Asselborn said that without a Palestinian consensus government the organisation and delivery of humanitarian aid would be undermined. No formal framework for a lasting ceasefire over Gaza has yet been agreed. While Israel says it requires Hamas to end weapons smuggling into Gaza and rocket attacks on Israel, Hamas has demanded that Israel lift its economic blockade of the territory. 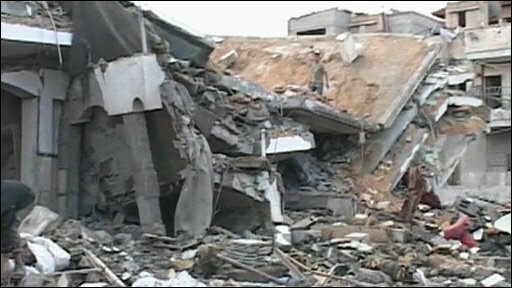 In Gaza, Hamas has begun handing out cash to people who had their homes destroyed, or lost relatives. Hamas insists it will make payments based on the scale of each person's loss, not on their political affiliation. 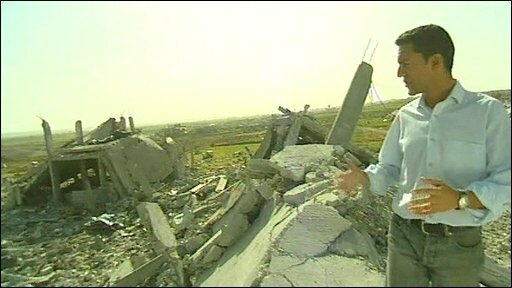 But the BBC's Aleem Maqbool, in Gaza, says there are those who will simply see this as a way of buying support. In Israel, Prime Minister Olmert told a weekly cabinet meeting that soldiers who had put their lives on the line for their country need not fear prosecution for war crimes overseas. Israel's military tactics have come under intense scrutiny as evidence has emerged of the high numbers of Palestinian civilians killed in Gaza. Among complaints made by human rights groups are accusations of indiscriminate firing and the use of white phosphorus shells in civilian areas. Israel has admitted using white phosphorus in Gaza but says it did not break international law in doing so. White phosphorus is legal for creating smokescreens in open battleground. But rights groups and journalists say it was used in crowded civilian areas. In Cairo, delegates from Hamas met Egyptian intelligence officials on Sunday as they sought to bolster the week-long calm in Gaza. Representatives from Fatah, the main rival Palestinian faction, were also due to attend the talks. There was no word of the substance of discussions in Egypt with Omar Suleiman, the Egyptian intelligence chief who brokered a previous six-month truce between Israel and Hamas. Mr Suleiman held talks with an Israeli envoy on Thursday. In a statement, Egyptian state media said Hamas and Mr Suleiman discussed "Egyptian efforts to consolidate the ceasefire, reach a [permanent] truce, reopen Gaza crossings and resume Palestinian national dialogue". 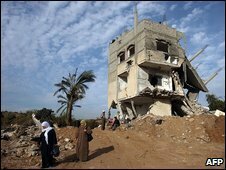 Israel and Egypt tightened their blockade of Gaza when Hamas seized control of the territory in mid-2007.